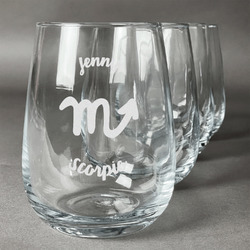 Sip your favorite wine in style with our must have personalized wine glasses. 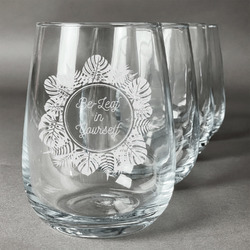 Featuring the trendy stemless design, these wineglasses are perfect for all occasions, from sophisticated soirees, to weeknight dinners alike. 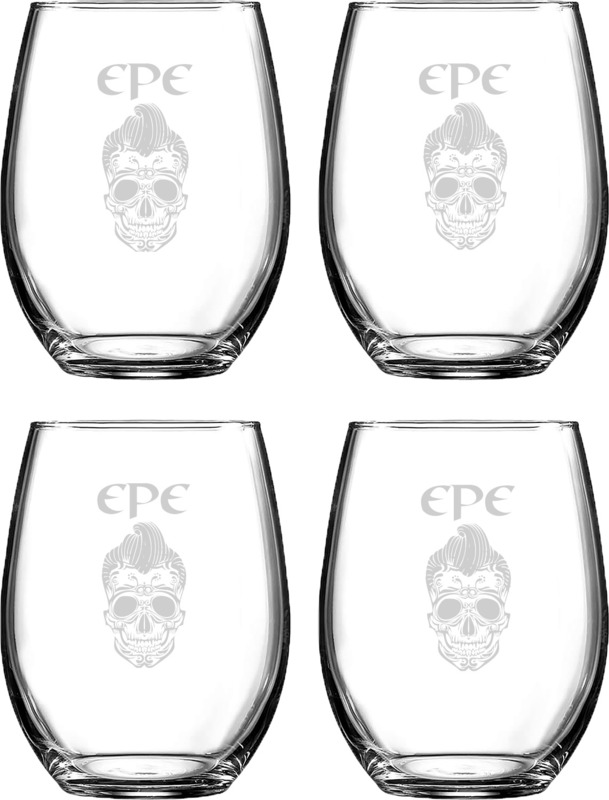 The set includes 4 stemless wine glasses that will be custom engraved with your design. Each glass holds 21 oz and measure 5.5"H x 3.5"W.
Our customization system makes it easy for you to design each glass. 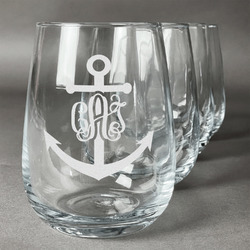 You can engrave your glasses with Name/Text, Name & Initials, Monograms (many styles available) or even graphics and text. We have a huge collection of fonts and graphics for you to choose from. If you are unable to find what you are looking for, please contact us and we will do our best to accommodate your needs. Great , im happy with it !! 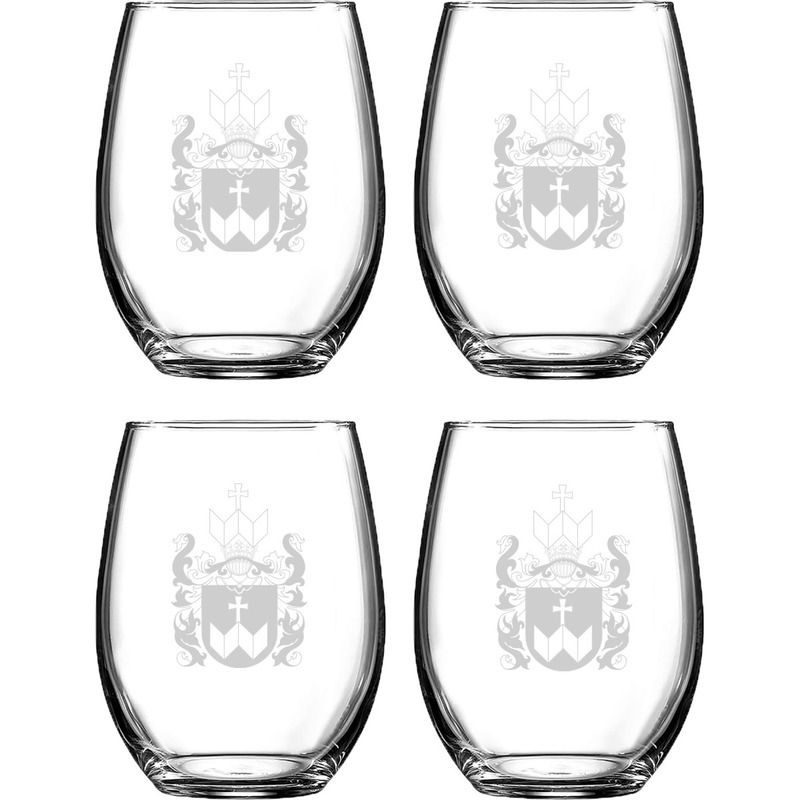 My polish girlfriend want wine glasses with her coat of arms. YouCustomizeIt worked really hard to convert the coat of arms, so they could be engraved. The wine glasses turned out BEAUTIFUL. Cannot wait to see my girlfriend's reaction when she opens the box! !